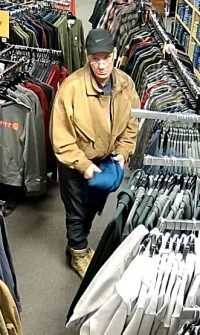 On Saturday February 16th, a pair of boots and a sweatshirt was stolen from Mo's Boots on 421. 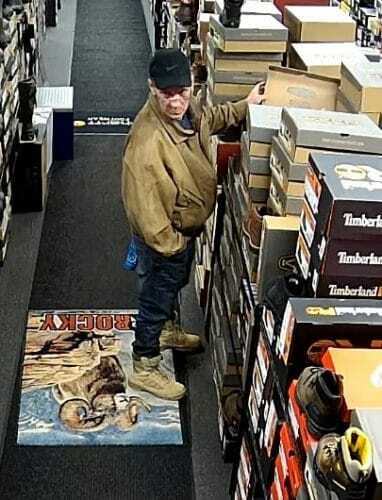 The boots, valued at $189.99, were brown leather Georgia Boot brand work boots. The sweatshirt, valued at $54.99, was a blue Carhartt “force” model sweatshirt, with a silver “Carhartt” logo across the front. 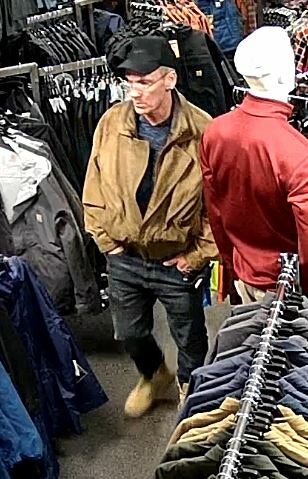 The subject was wearing blue jeans, a brown jacket, black ball cap with a grey “Nike” logo on the front, glasses, and an earring in his left ear. 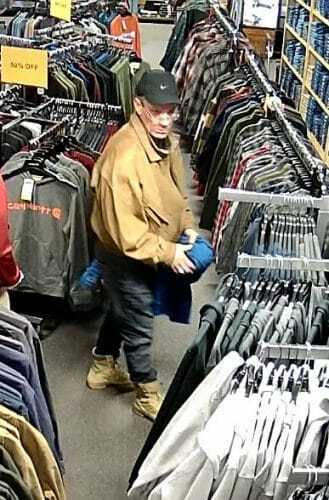 In store video footage, he can be seen concealing the merchandise in his jacket, before leaving the store.